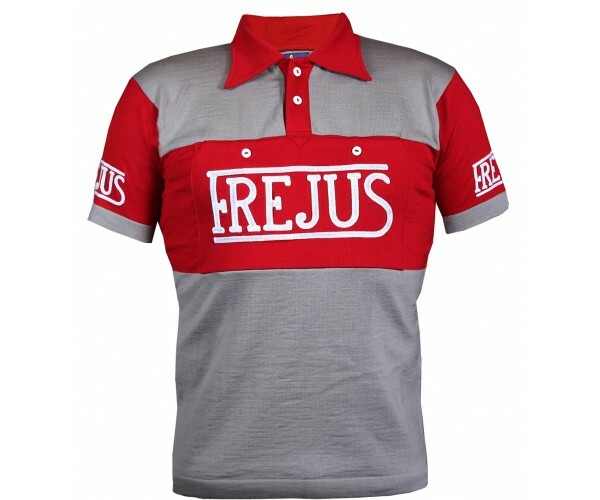 Woolistic proudly presents the beautiful Frejus wool cycling jersey based on the early 1950s team of Ferdi Kubler. 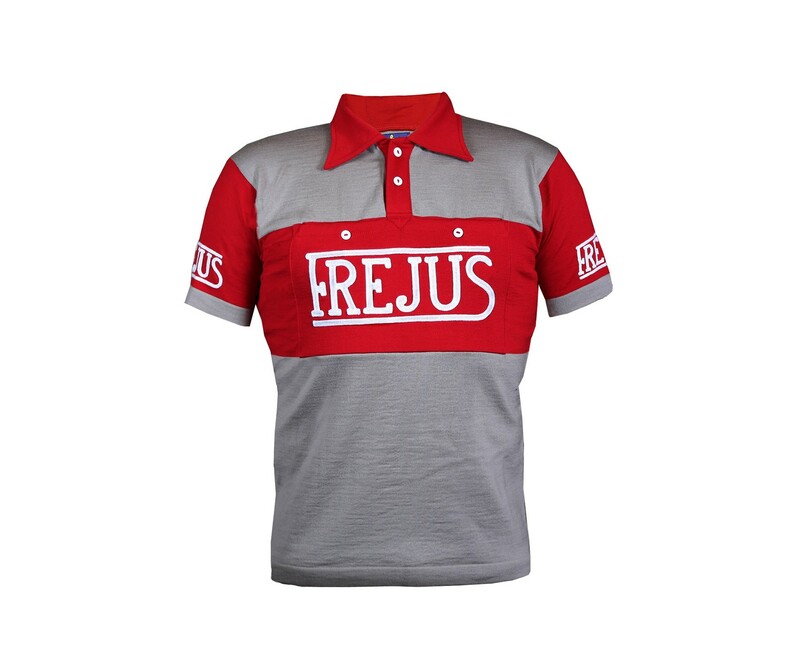 Frejus was one of the powerhouse teams starting in 1930s. Eleven times World Champion, winner of Tour de France and Giro d' Italia. Famous racers like Cino Cinelli and Ferdi Kubler rode for Frejus. Made in 100% fine Merino wool, this button lapel jersey has front pockets. Original chain-stitch embroidery graces the front, back and sleeves. Limited quantities so do not delay!